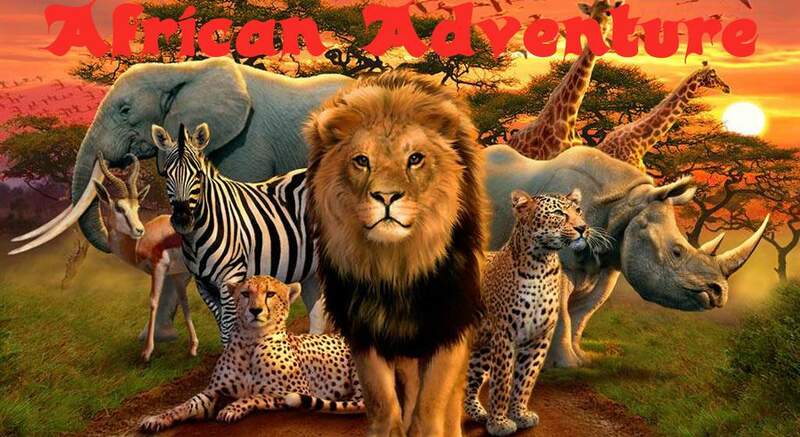 Hey all, so I`m making an African safari tycoon type game in my spare time. Was wondering if any artists / modelers are keen to colab on the project. Not sure where it will go but at the very least will be a great portfolio piece. CONSTRUCTION MENU. 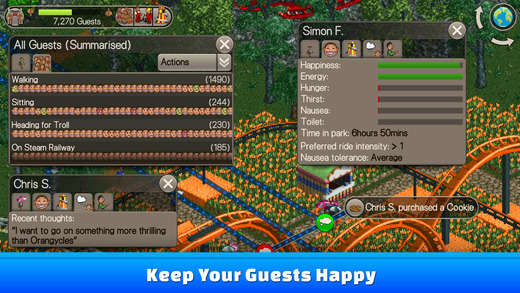 ALL SELECTABLE ITEMS HAVE WORKING PURCHASE OPTIONS. 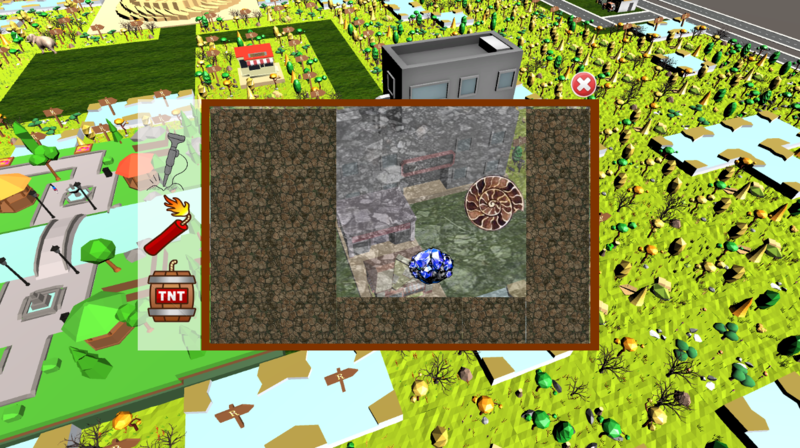 MINING GAME. NOT SURE WHY BUT I WANTED TO MAKE ONE. PERHAPS WHEN CLEARING AN AREA IT OPENS WITH A CHANCE TO UNEARTH SOMETHING. ANIMAL PURCHASE MENU. 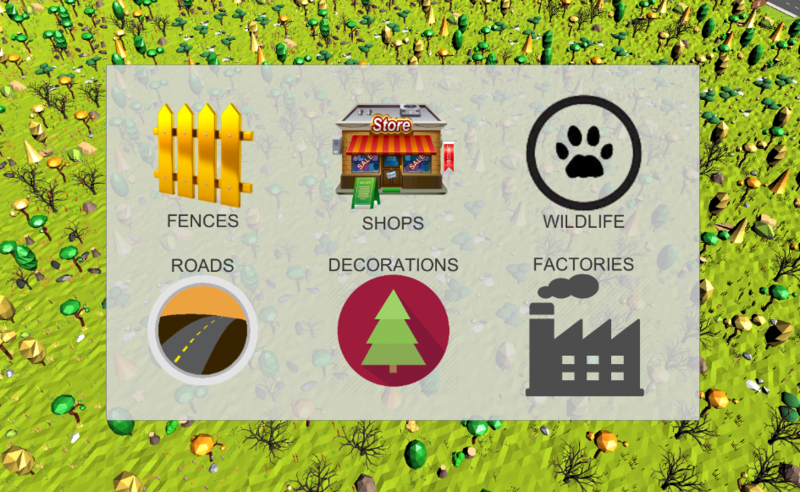 ALL ANIMALS CAN BE PLACED AND THEY PATHFIND IN OPEN AREAS. Saving and loading tiles and progress is working. 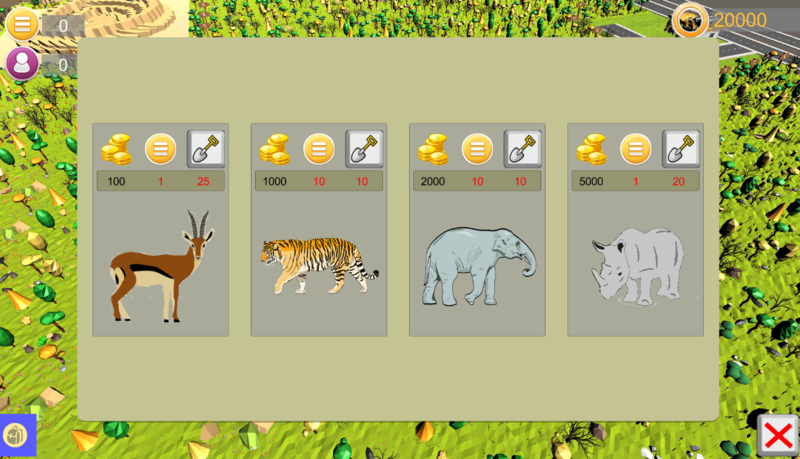 Progress system is partly complete, and I still would like to add poachers so you would have to beef up security etc. I've made some African - Bushveld type music loops a while back that you could use in the game if you're keen. Drop me a message if you'd like me to send them! That would be awesome, thanks! Move using the arrow keys. Page up / down for zoom. Mouse click for the rest. 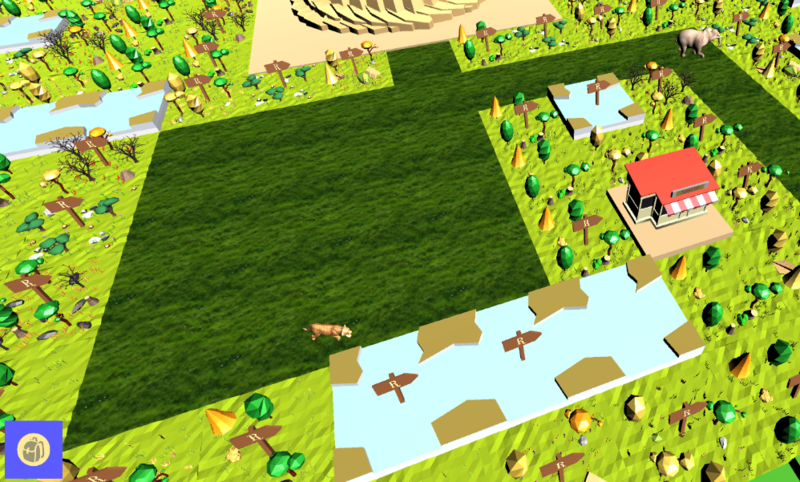 All feedback welcome but bare in mind this is a super early build with complete placeholder art. I can't get past the loading screen, tried twice and waited for 5 minutes, it's a nice loading screen though. @critic, are you playing on a mac by some chance? No, Windows 10, windowed mode, 720p. Ok thanks, it seems like a resolution issue, I`m working on it. I'm also having issues with buttons going off-screen (see attached screenshot). Tried it in windowed mode and buttons went further off screen. I don't think your UI is resizing with various ratios. Not too sure what I'm supposed to do though. I could only clear land and don't know what to do next lol... not sure if relevant buttons are off-screen? Game also super laggy on my PC (Windows 7, 8GB ram, 2GB GPU, 1600x900 ratio). Especially when fully zoomed out. Yeah buttons are off-screen. Checking it. UI seems to be behaving. Hi, sorry to say but the game is unplayable for me, some thoughts are below. [-]You need an intro of some sort, stating the goal and setting. [-]Only things I'm able to do is clear the trees and lay roads, everything else requires some gold or something, there is no hint of how to get it. 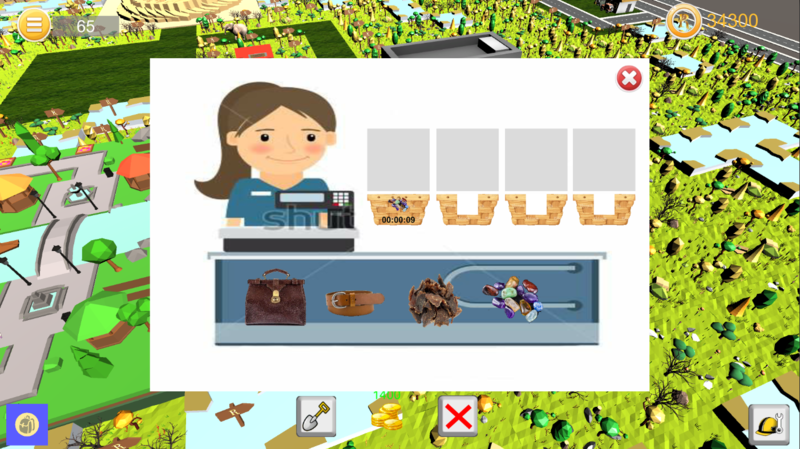 [-]The two top left buttons don't work. [-]Clearing tress gives no resources. [-]The purchase items cards have broken aspect ratios, the buttons are cut-off and none of the buttons on the the cards work (picture attached). [-]If a button is pressable and disabled you still need to show the player that it is in fact a button, buttons need a 'pressed' or 'hover' animation even if disabled to let the player know it is a button that can be pressed and not an image. [-]Some sort of guidance would be wonderful, like a mini tutorial. [-]Controls are weird for this type of game, you need to utilize the mouse, for instance, [RMB+Drag] for scrolling, [LMB] for selecting, [LMB+RMB] for camera pitch and rotation, [Scrollwheel] for zoom... It's pretty standard for the genre and is expected. You need to sort out these 'technical' issues, I like these types of games and there might be good gameplay at the core, but it's very hard to get to it with the current state of the UX. @critic thanks for the feedback. Man but the UI is just not playing ball! Totally agree that there needs to be more instructions and that's what I will be concentrating on for the next while. 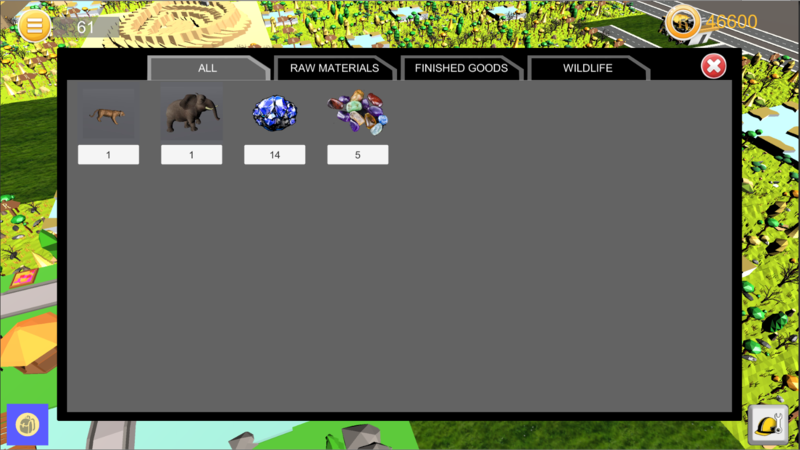 If you clear a few more areas you will see that your progress level will increase to 1 and you are able to buy animals and shops etc. Should've pointed that out, appologit's. Thanks for the in depth feedback. I'll make sure all of the issues are addressed before posting another update. UI works perfectly on 16:9 for those wanting to try. Another thing, the build menus take up a lot of space, can I suggest something like this. It saves a lot of space and it shows all the information that you are showing, the blue section would open up with different build categories when the shop button is clicked, once you select the appropriate section, the building items would appear where the current shops are. When you hover over a building a brief description with cost and requirements is shown. I actually had something a lot smaller originally but found it quite hard to read, especially on mobile, hence the great big options. But yes, they are a bit much.